March 3, 1873, 42nd Congress, page 1873, amending the already harsh and lengthy postal monopoly law of June 1872, which allowed Comstock himself to meddle in the mail service…. municipal seizure, and with the same right of appeal or writ of error: Provided, That nothing in this section shall be construed as repealing the one hundred and forty-eighth section of the act of which this act is amendatory, or to affect any indictments heretofore found for offenses against the same, but the said indictments may be prosecuted to judgment as if this section had not been enacted. APPROVED March 3, 1873. Here was a law inviting faith-based zealots to forcibly meddle in and make seizures against trade, production, healthcare, speech, writing, advertisement, seeing, reading, and even mailing a letter or postcard! Sure enough, BLAM! By the sheerest of coincidence (to GOP and Democratic Party eyes), the destruction of freedom engineered by the 1872 Postal Monopoly law morphing into the Comstock laws at federal and state levels immediately preceded the Panic of 1873 and a ghastly depression! The Kleptocracy spares no effort in coming up with alternative causation scenarios. This sort of error was repeated in 1907 and 1927, was loudly publicized in 1929 and silently enforced in 1932, 1987 and 2007. Flash crash repetitions occurred in May of 2010 and March of 2015. Yet economist-impersonators lecturing at subsidized schools direct attention away from these sorts of correlations and the inductive temptation they entail. Some stock market investor or corner-seeking clique is instead singled out for blame, as in Farenheit 451. The LP already appropriated the Non-Aggression principle as set forth by Ayn Rand in 1947–while minions of Hitler’s Socialist Altruria were stretching ropes at Nuremberg. That principle has served us well. The Republican Party has for decades copied the 1976 Prohibition Party platform plank urging a Constitutional Amendment, Why? To overturn the Roe v. Wade decision copied from the 1972 Libertarian platform. 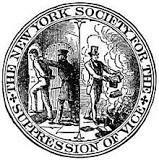 Republicans appropriated the Prohibition Party plank demanding physicians be constitutionally coerced in order that women shall not possess individual rights. Need a translator able to research financial enactments and relate them to loss of freedom and financial disasters?